[ The Garrick Club, London. ] Autograph Letter Signed ('R H Atkinson') from the secretary of the Garrick Club to drama critic R. W. Lowe, regarding 'the privilege of engraving the pictures in the Club Collection'. On letterhead of the Secretary's Office, Garrick Club [ London ]. 15 May 1888. 2pp., 12mo. Bifolium. In fair condition, lightly aged and creased. 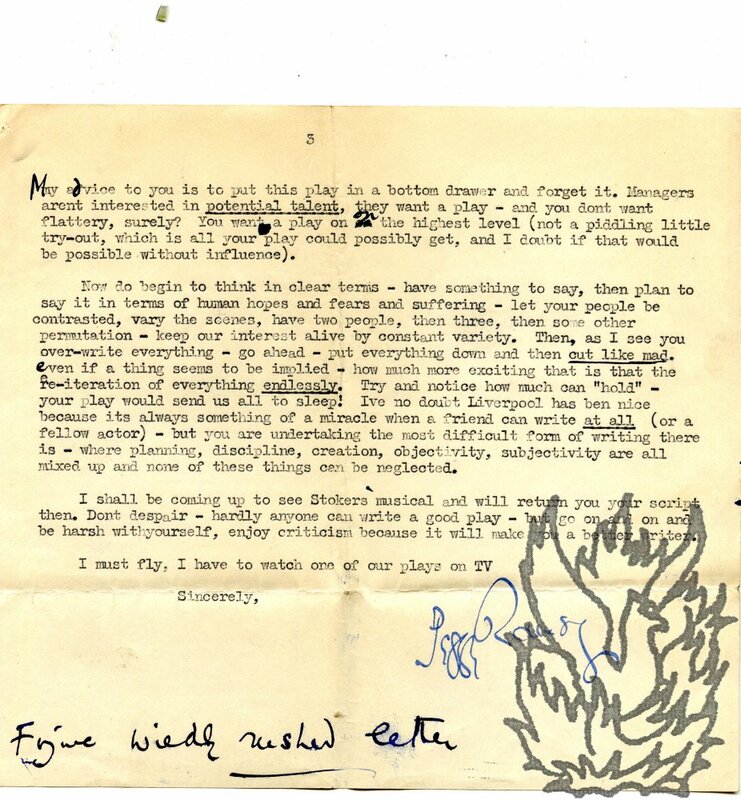 Lowe's request has been laid before the Club's committee, and there is no possibility of acceding to it: 'You say in your letter that you are aware that the privilege engraving the pictures in the Club Collection is "rarely" granted, but in this matter I fear you must have been misinformed as it is against the Rules to grant it at all'. 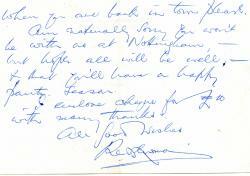 Autograph Letter Signed ('R. 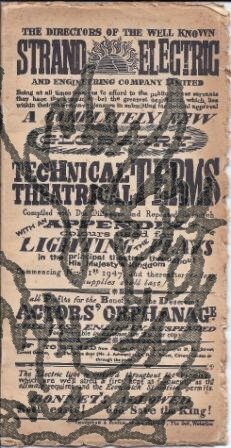 K.') from the comic actor Robert Keeley to 'Mr Lee' at the Olympic Theatre, London, requesting payment of his salary (as he is 'entirely without money') and asking for a note to be sent to the manager R. W. Elliston. [London.] 'Tuesday Morng' [1818 or 1819]. 2pp., 16mo. Bifolium, with the reverse of the second leaf addressed to 'Mr Lee | Olympic Theatre'. Fair, on aged paper, with minor damage to second leaf on removal from album. The letter begins: 'R. Keeley's Compts to Mr Lee, will thank him to send his Salary per Bearer - R. K. is entirely without money and will thank Mr Lee to present the accompanying note to Mr Elliston's notice'. He asks Lee to oblige him 'with the date of the 2d. Week of the Leicester Season when I first resume my Sal -'. Autograph Letter Signed ('A Bunn') from the theatre manager Alfred Bunn to the widow of the actor Charles Mathews, praising her husband while defending an accusation of inconsistency on his part. With two notes by Mrs Mathews. 6 Maddox Street, Bond Street; 11 August 1840. 3pp., 12mo. Fair, on aged paper. Mathews begins by quoting contradictory passages from letters of Charles Mathews, one from Mrs Mathews' 'Memoirs of Charles Mathews, Comedian' (1839) and the other from Bunn's 'The Stage: Both before and behind the Curtain' (1840). The autograph signatures of the English actor Charles Kean and his wife Ellen Kean [nee Tree]. Place not stated; 25 June 1852. On one side of a piece of laid paper, approximately 11.5 cm square. Minor traces of glue to corners on the reverse. Good, firm signatures, provided for an autograph hunter. The husband signs first: 'Charles Kean | Friday | 25 June 1852'. Beneath this is the wife's signature: 'Ellen Kean'. Four Typed Letters Signed and two Autograph Letters Signed (all 'Rex Newman') from the screenwriter and author Greatrex Newman to Eva Lawrence ('Lawrie'). Two undated; the rest between 1951 and 1959. On various letterheads of 39 and 47 Whitehall Court, London. Five of the items are 8vo, with the other on a 12mo slip. All texts clear and complete. Fair, on slightly-aged and worn paper. 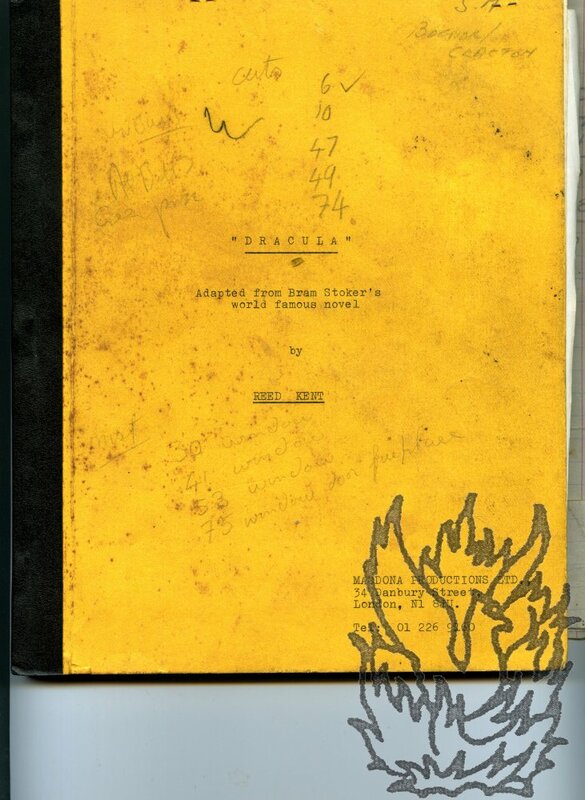 A total of five typed 8vo pages, and two autograph 8vo and two autograph 12mo pages. Four of the lettters have 'The Fol-de-Rols' printed on the letterhead. 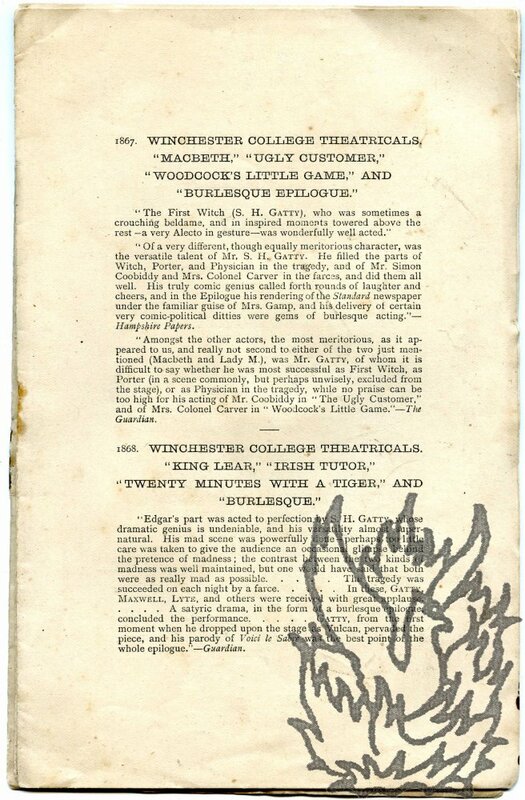 Dealing with practical everyday theatre matters, with Newman writing, for example, on 19 November 1955: 'I have bought a few costume from the Punch Revue which died an early death at the Duke of York's theatre last Saturday. 12mo, 7 pp. Text clear and complete. On aged discoloured paper, with rusting staple having been removed. 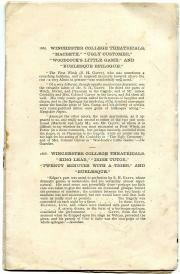 The last page carries a 'List of Characters' played by Gatty, from the 'First Gravedigger' in 'Hamlet' in 1866 to 'Tony Lumpkin' in 'She Stoops to Conquer' in 1882. The reviews, in small type over the previous six pages, are highly favourable, from a range of papers from the Guardian to the Sheffield Daily Telegraph. The last set of reviews relates to the 'Harmonomaniac Concerts, Oxford'. From the residue of Sir Stephen H. Gatty's papers. The original metal plates for 102 engravings by Thomas Downey, caricatures of leading English theatrical figures, including Mrs Patrick Campbell, Herbert Beerbohm Tree, George Robey, George Alexander and Marie Tempest, in performances on the London stage between 1913 and 1917.A friend of the artist Alfred Bryan (1852-1899), Downey was active from the late 1890s (when he contributed to J. K. Jerome's Idler magazine) to the 1930s. New York: To be Sold at Auction [...] 8th, 9th and 10th of March, 1864, By Banks, Merwin & Co., At the Irving Buildings, Nos. 594 and 596 Broadway]. Octavo: 18 pp. Unbound: stabbed and unstitched. First leaf and leaves with pp. 15/16 and 17/18 loose. Leaves with pp.3/4 and 15/16 half-separated. Paper discoloured and chipping at edges. Extends to 918 lots. The odd number of leaves implies the loss of a final leaf, possibly bearing text. Stamp of the Public Library Ford Collection. Docketing in pencil notes a duplicate at the New York Public Library. No other copy traced. Autograph letter signed to 'Mr. Gifford'. Anglo-Australian actress (1890-1975), connected with the Kendalls, Beerbohm-Tree, Bernard Shaw and a host of other figures from the London stage. Two pages, 12mo. Veryy good. Difficult hand. She has asked 'Mr. de Lion' about Gifford's play: 'he said he will try to make enquiries & let me know but I dont expect he will'. The rest appears to refer to relate to travel plans. Ends 'I beg you to forgive me.' Signed 'Marie Löhr'. Autograph Letter Signed to 'Mrs. Ford'. English actress of Spanish descent (1866-1951). Two pages, 12mo. On grey paper. Folded twice. In very good condition, but with minor traces of paper mounts adhering to two corners of first leaf of bifoliate. Florid signature. She declines the luncheon invitation as she has friends coming down. She is 'going to try & have tea with Mrs Gooch. But it is a little difficult to get away when one has people staying.' She is sorry to have missed her correspondent. 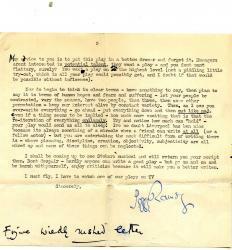 Autograph Letter Signed to Henry Robertson, Secretary, Covent Garden Theatre, together with draft of Robertson's reply. T[heatre]. R[oyal]. D[rury] Lane | August 4th 1835'. With red wax Theatre Royal seal. Theatrical manager (1796?-1860) and poet, manager of Drury Lane and Covent Garden theatres, 1833-48. One page, quarto. Good, but somewhat grubby on lightly-creased, discoloured paper. Reads 'My dear Sir | I do not remember at this moment any point, beyond those we discussed yesterday, that requires adjustment, except the return of £63-4-8 overpaid on the rent account up to July 5th. and the four weeks salaries to your watchmen & firemen from that day up to last Saturday, amounting to £27 - | The balance of the "Warwick Box" is still unpaid.' Signed 'A Bunn'. Photograph with manuscript inscription (prob. not Guitry's hand) on reverse 'Pour <h?>r. Her [sic] Barman de la Passable <ebr.?>'. French actor and dramatist (1885-1957). Dimensions roughly 7 inches by 9 inches. In good condition though somewhat grubby, with 'SACHA GUITRY in 1939' in manuscript written in white ink on Guitry's collar. A striking head and shoulders portrait, shot from below out of doors, of Guitry staring intently ahead and to the left. He wears a white panama hat with black band, a patterned tie, dark shirt and grey jacket with specks. Gum marks from previous mounting around edges of reverse. 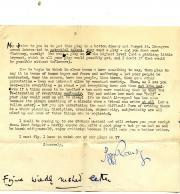 Letter Signed to 'E Moran Esqre | Globe Office'. Saturday M[ornin]g' (no date); no place. English writer on the theatre. The Globe was a London newspaper, founded in 1803. 1 page, 8vo. In good condition: neatly folded and with one small hole to the first leaf of the bifoliate, affecting one letter of one word of text. 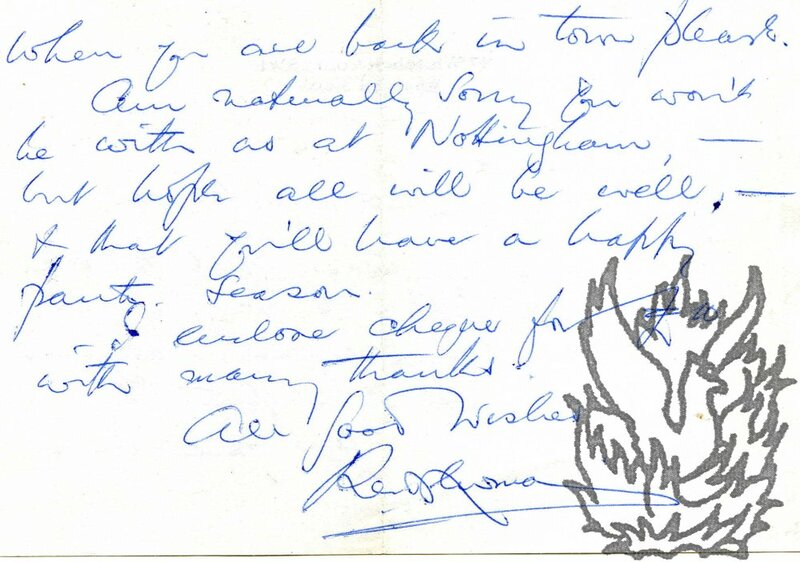 Autograph Note Signed to J. Winston. 12 August 1825; 13 Alfred Place. English actor and playwright (1780?-1829). 1 page, 16mo, on bifoliate with address ('J. Winston Esqr | 3 Church Street | Cov Garden') on reverse of second leaf. 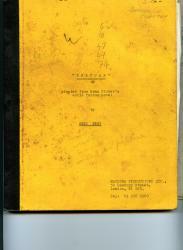 Paper discoloured, otherwise in good condition. 'Dear Winston | Will you be kind enough to give the bearer an order for Two to the H Mkt [Haymarket] for the Evening. I am Dr Sir | Yrs very truly | Danl Terry'. Wrapped in 4to piece of paper on which are transcribed in a neat contemporary hand two quotations regarding Terry from the European Magazine. Autograph Signature on fragment of letter to Thomas Dibdin. 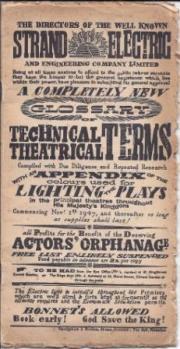 Actor and lessee of the Surrey Theatre (1774-1831; DNB). The recipient is the songwriter and dramatist Thomas John Dibdin (1771-1841; DNB). 2¼ inches by 4¼. Creased, grubby and with a closed tear not affecting signature. Reads 'meeting. - | Yrs | Dr Sir | very truly | R W Elliston | To | Thos Dibdin | &c &c &c'.